Full Name: Elliot McKay See Jr.
Mission reassigned to the backup crew after the deaths of Elliot See and Charles Bassett. 1949-1953, Researcher with General Electric Company. 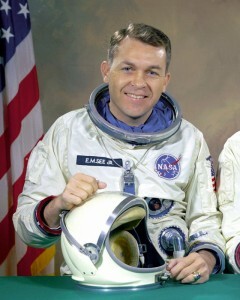 1956-1962, Flight test enginner and Experimental Test Pilot until selection by NASA. 1965, Assigned as Gemini 9 Command Pilot in November. 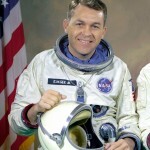 February 28, 1966, died along with fellow astronaut and Gemini 9 crewmate Charles Bassett in the crash of their T-38 jet in St.Louis, Missouri.